The Center for Global Initiatives is pleased to be the home for the Diplomat-in-Residence at UNC. The Diplomats are career foreign service officers posted at universities throughout the United States. They are responsible for providing guidance and advice to students, professionals and the community about careers, internships and other opportunities in the U.S. Department of State. The Diplomat-in-Residence for the Southern Mid-Atlantic region covering is based at Duke University but also maintains an office in the FedEx Global Education Center at UNC. Visit careers.state.gov to review the job descriptions, process for examinations and application, and other general information. Email DIRMidAtlantic@state.gov to setup an appointment or to ask specific questions that are not addressed on the website. Kathryn Crockart is a career member of the Senior Foreign Service currently serving as the Diplomat in Residence (DIR) for the mid-Atlantic region (North Carolina, South Carolina, and most of Virginia). As a DIR, she helps a diverse cross-section of Americans who want to serve and represent our country to pursue career opportunities with the U.S. Department of State. 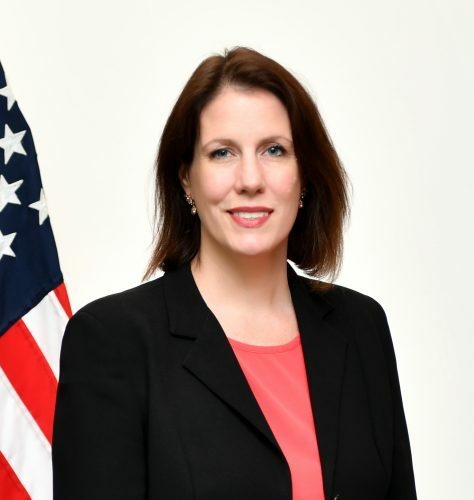 Mrs. Crockart returned to the United States in August 2018 from her most recent overseas assignment, at the U.S. Embassy in Islamabad, Pakistan (2017-2018), where she served as the Minister Counselor for Public Affairs. In this role, she led American public diplomacy efforts in Pakistan through robust outreach, exchanges and media engagement conducted by the Embassy and our three Consulates. Mrs. Crockart is a Public Diplomacy-coned foreign service officer. Her other assignments include the U.S. Embassy in London (2014-2017), where she was the Spokesperson and Director of the Press Office. She served as Principal Officer at the U.S. Consulate in Medan, Indonesia (2011-2014), leading all American diplomatic efforts on the island of Sumatra. She has also served in Kuala Lumpur, Malaysia; Belize City, Belize; and both Frankfurt and Munich, Germany. The State Department has recognized Mrs. Crockart with its individual Superior and Meritorious Honor Awards four times each. Prior to joining the State Department in 1999, she worked at The (Durham) Herald-Sun in her home state of North Carolina.